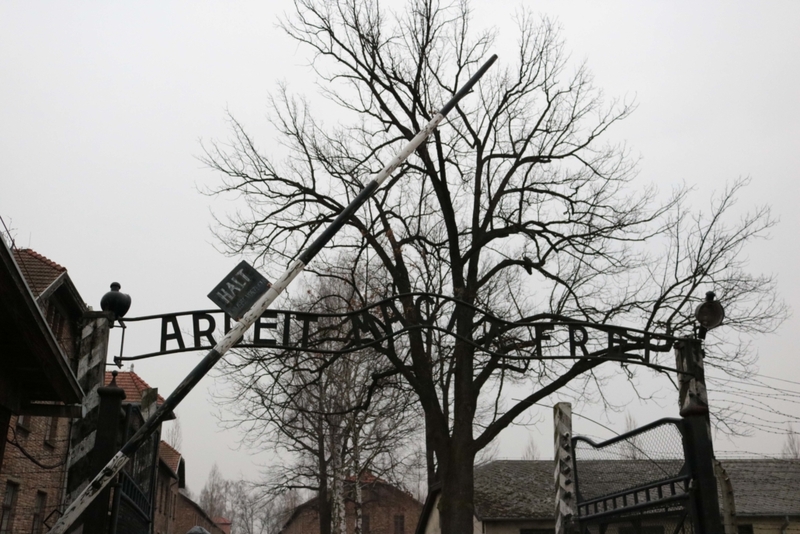 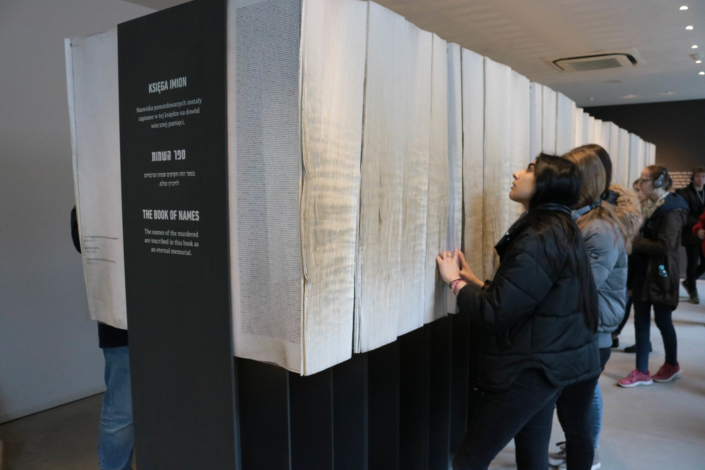 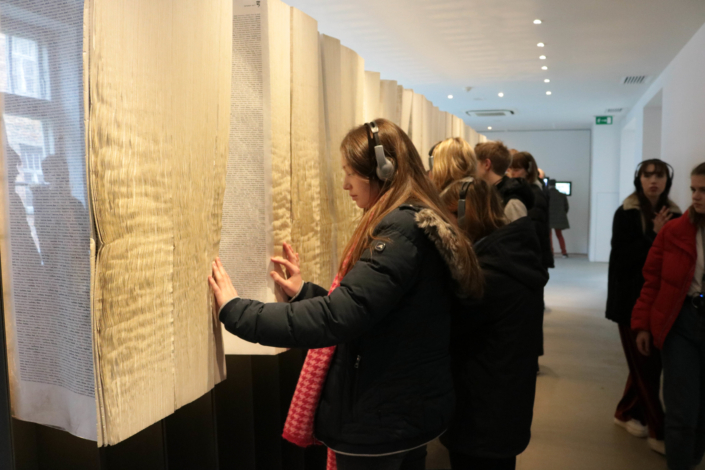 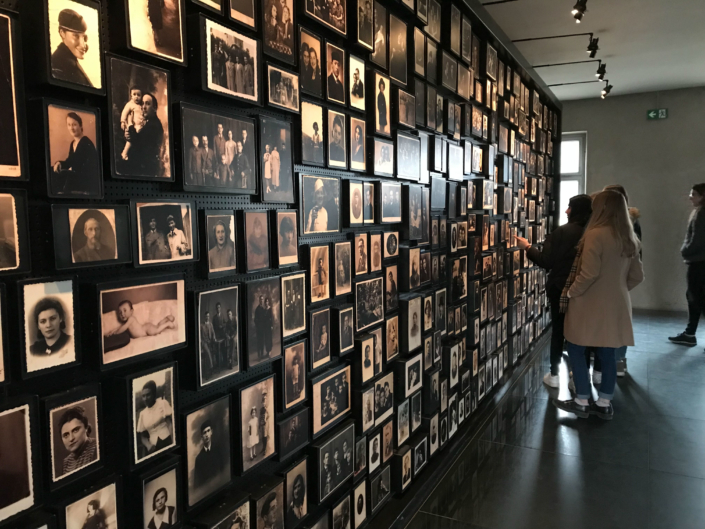 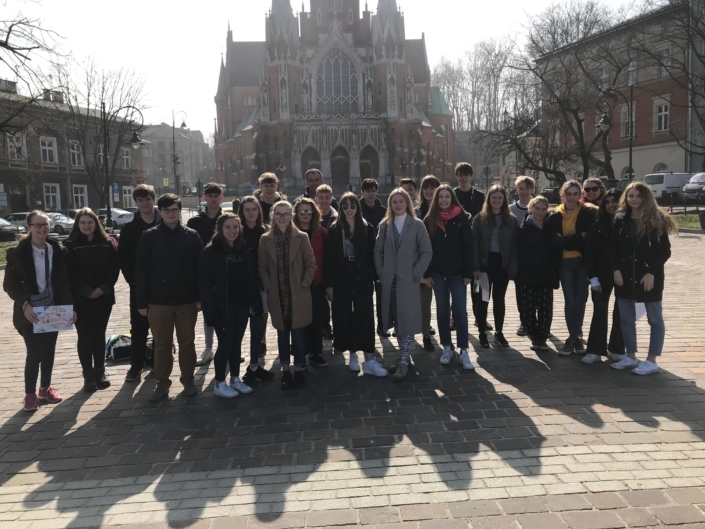 Last week students from Harington School travelled to Krakow, Poland to learn more about the Holocaust. 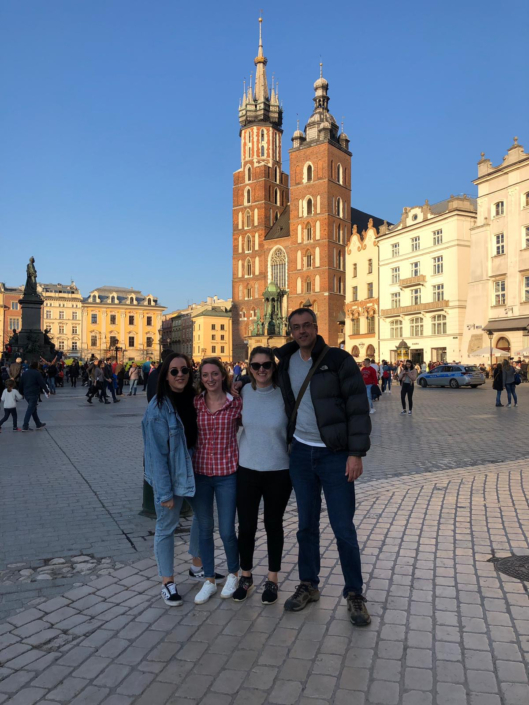 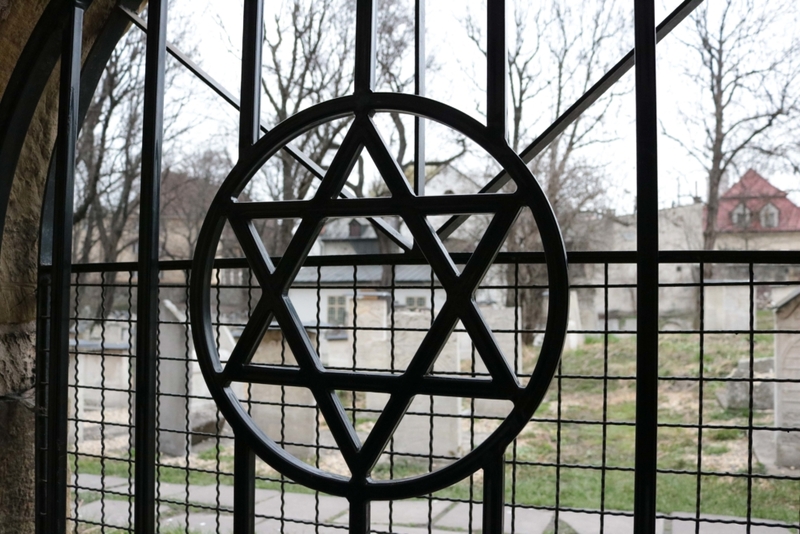 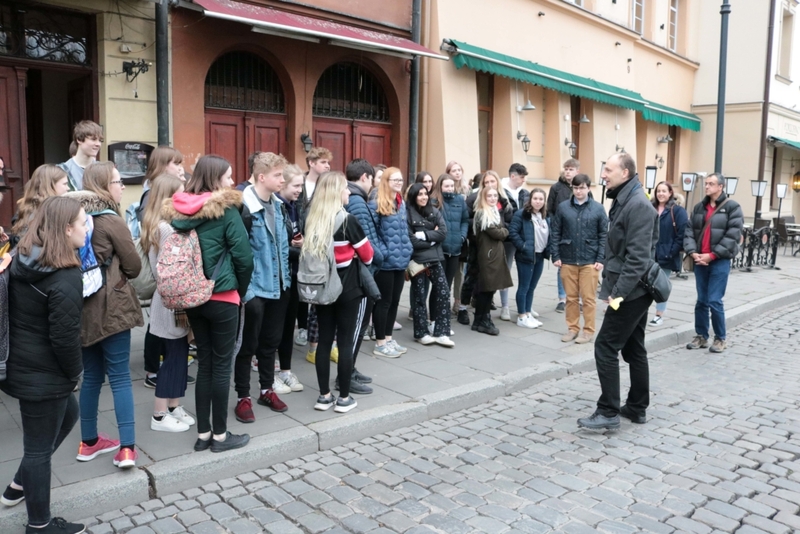 On the first day students took a walking tour of the former Jewish quarter of Krakow with charismatic guide, Rafa, and viewed an exhibition of photographs documenting the thriving Jewish cultural life before the Second World War at the Galicia Museum. We were then extremely fortunate to hear from Holocaust survivor Krystyna Gil, a member of the Polish Roma community whose entire family (except her grandmother) perished in the Holocaust. 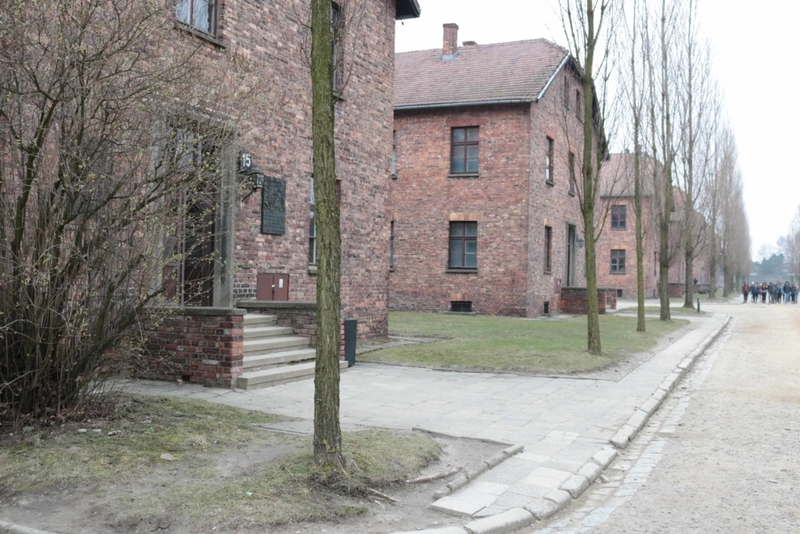 Remarkably both survived due to the kindness of an SS officer in a concentration camp. 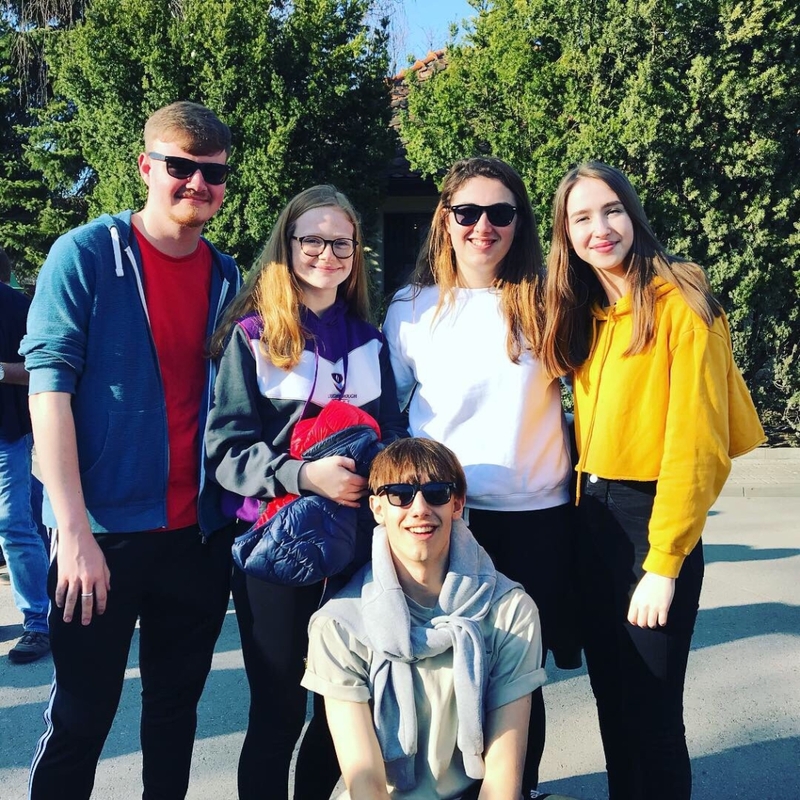 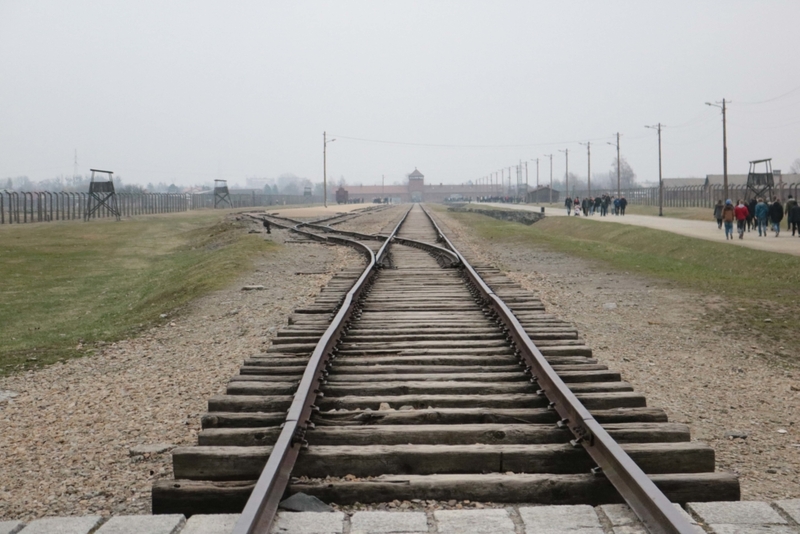 Day 2 saw the students travel to Auschwitz and Birkenau. 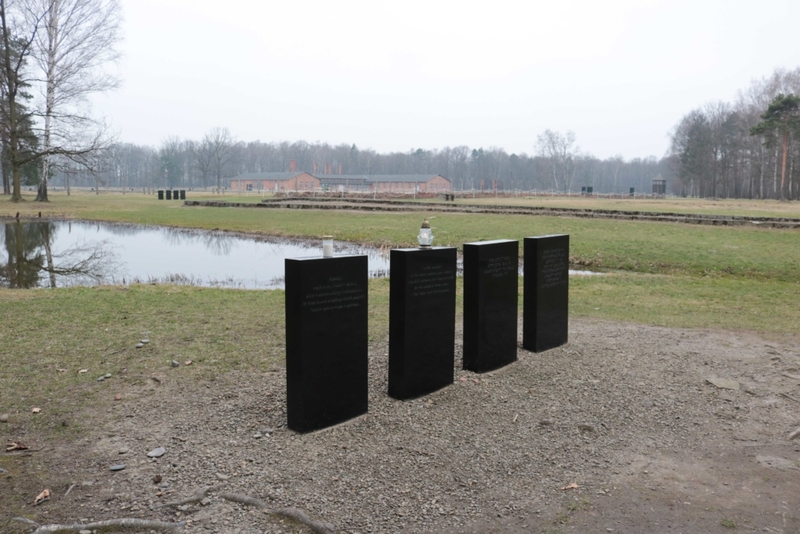 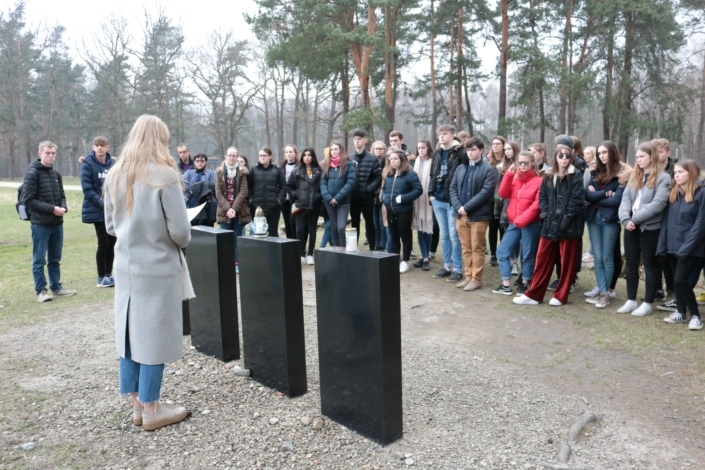 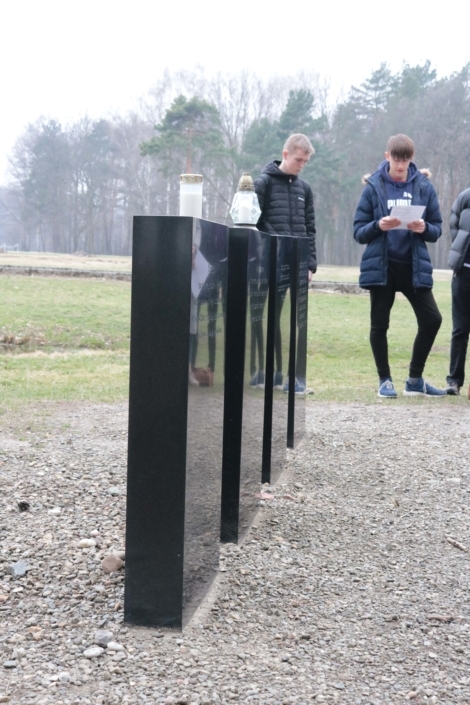 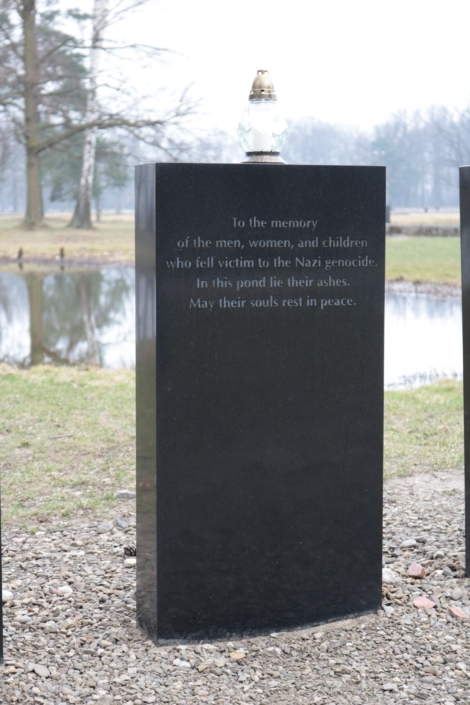 Whilst at Birkenau the group held a short service of remembrance, with readings and poem from the students to reflect upon this extremely powerful and emotive experience. 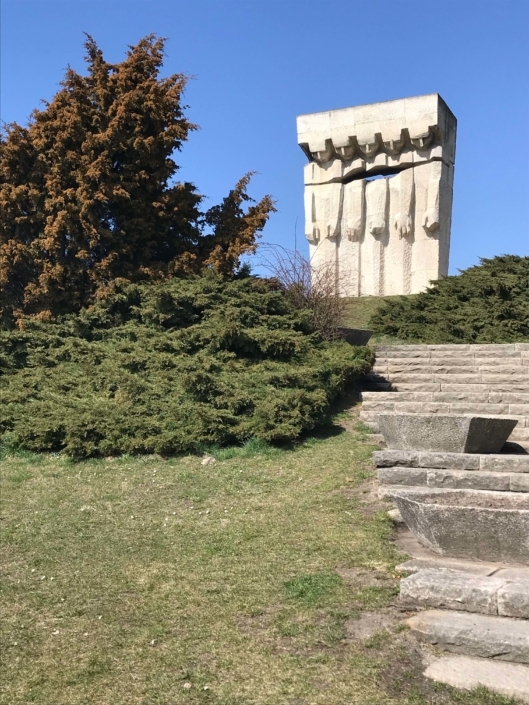 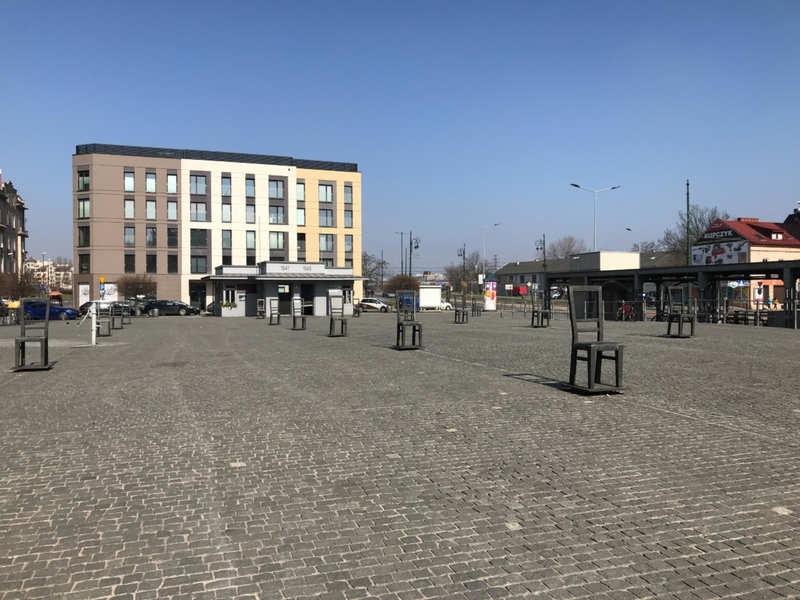 Our tour was rounded off with a visit to the former Jewish ghetto and site of former Plaszow Labour Camp immortalised in the film Schindler’s List. 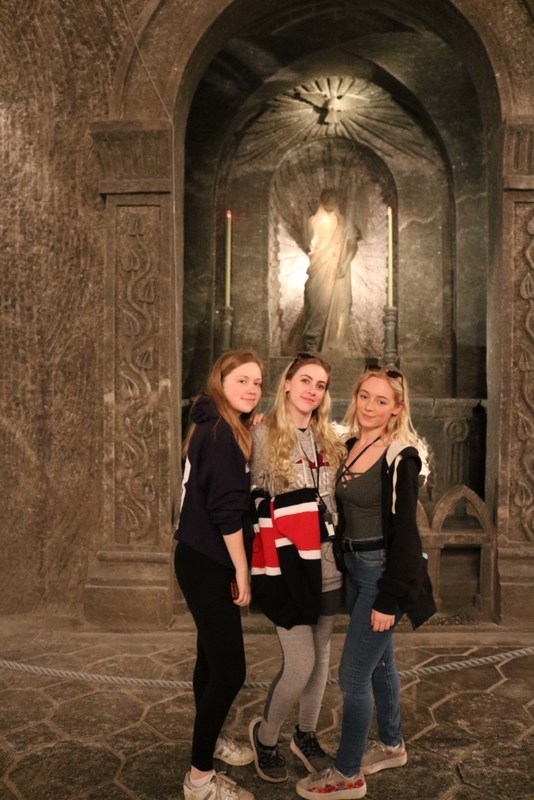 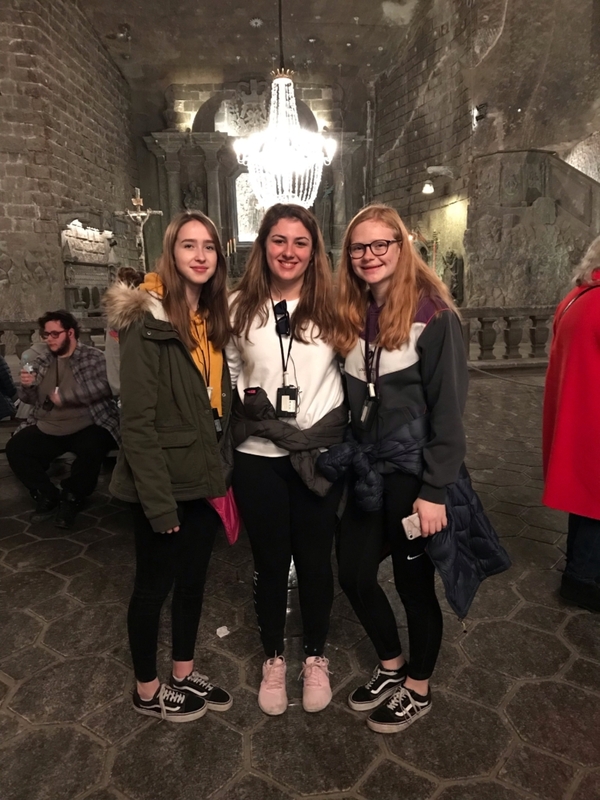 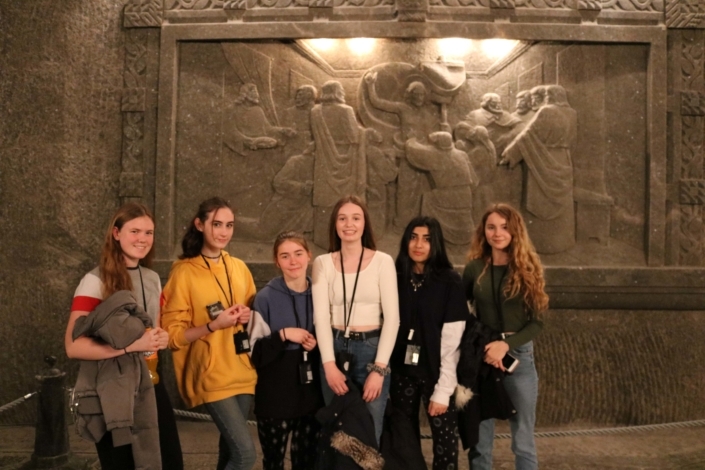 To lift the mood somewhat, our final stop was at the spectacular Wieliczka salt mines which is a UNESCO site and one of the oldest salt mines in the world. 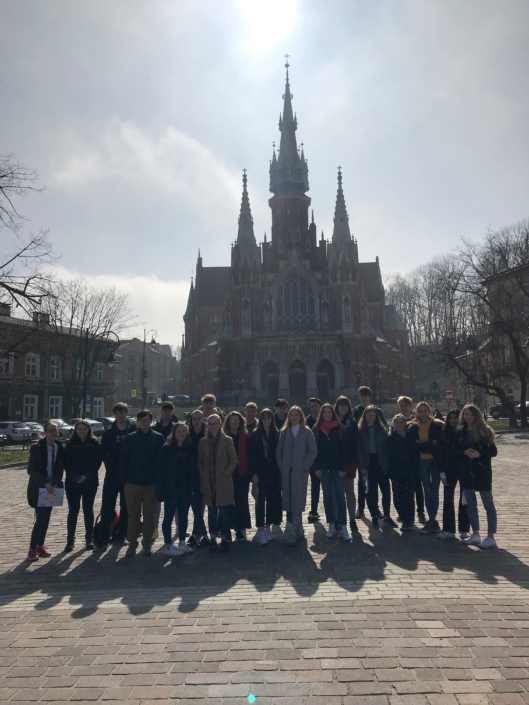 All students were a credit to the school and impressed our guides with their inquisitive, mature and engaged attitude.